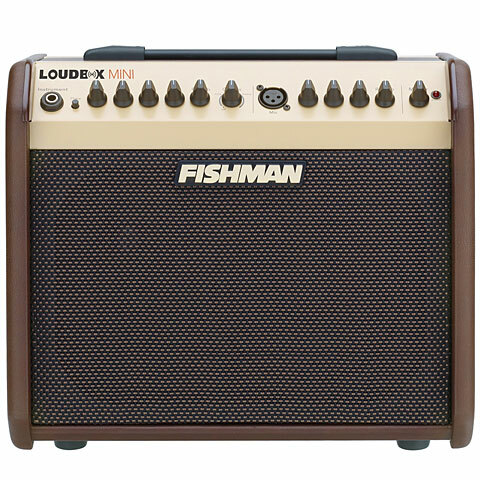 The 60-watt Fishman Loudbox Mini acoustic guitar combo amplifier weighs less than 20 lbs. and can fill a small venue with sound. 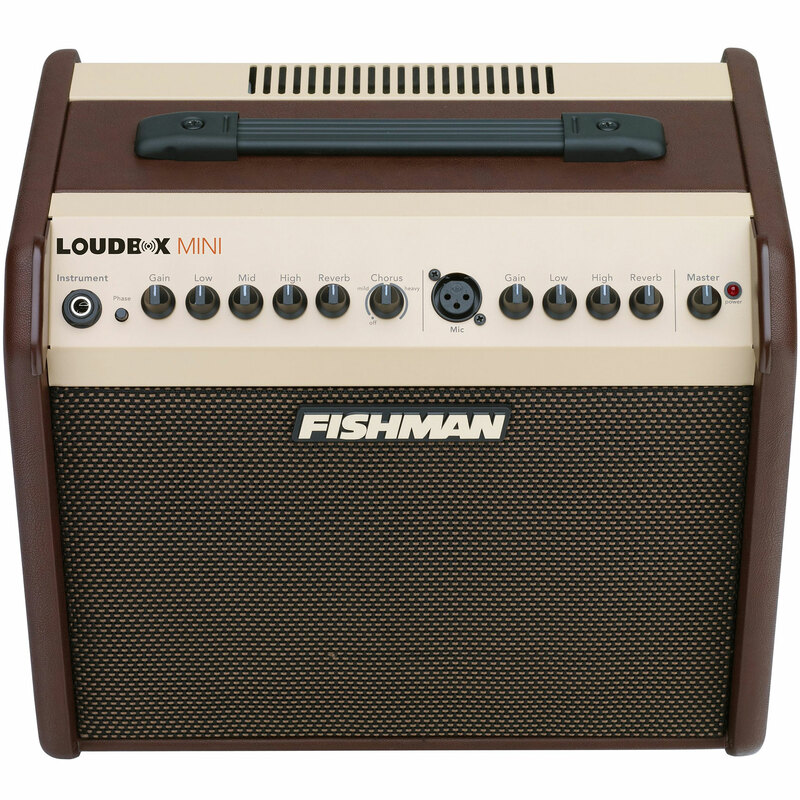 The Loudbox Mini brings out the most natural sound from an acoustic guitar. Features include chorus and reverb effects, feedback suppression, and simple-to-use 3-band EQ controls for the instrument input and 2-band EQ for the mic input. The Loudbox Mini's auxiliary input lets you input a MP3 player or metronome. XLR direct output allows monitoring onstage while playing live and sending a balanced signal to the PA mixer without an extra DI box. 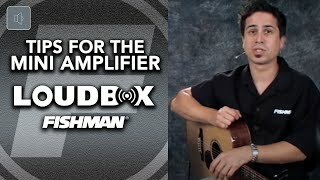 Of course, the direct XLR output also makes the Loudbox Mini a great recording amp, though its combination of a 6.5-inch low-frequency driver and a 1-inch tweeter sounds truly excellent when miked. 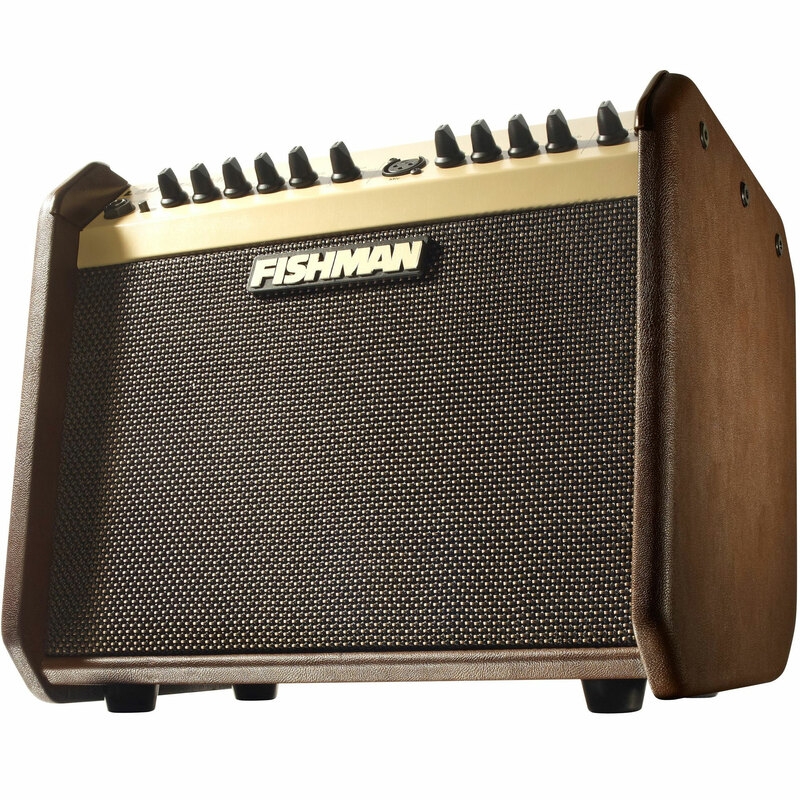 The Fishman Loudbox Mini instrument channel features 1/4-inch input for active or passive pickups, feedback-fighting Phase switch, band EQ: low, mid, high tone controls, reverb level, dual-function chorus. 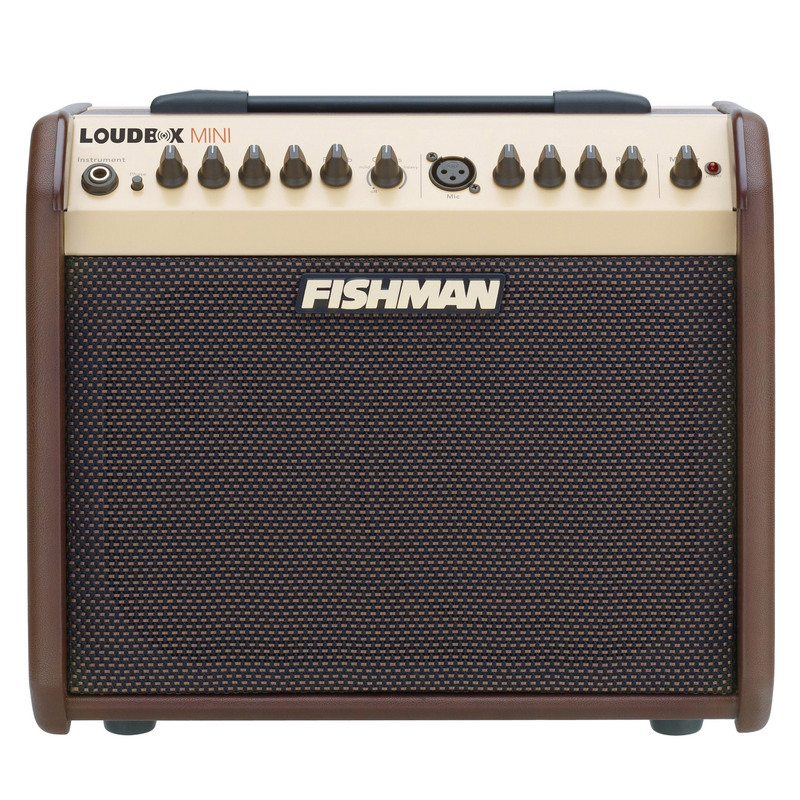 The Fishman Loudbox Mini microphone channel features a balanced XLR input for dynamic microphones, 2 band EQ with low and high tone controls and reverb level. 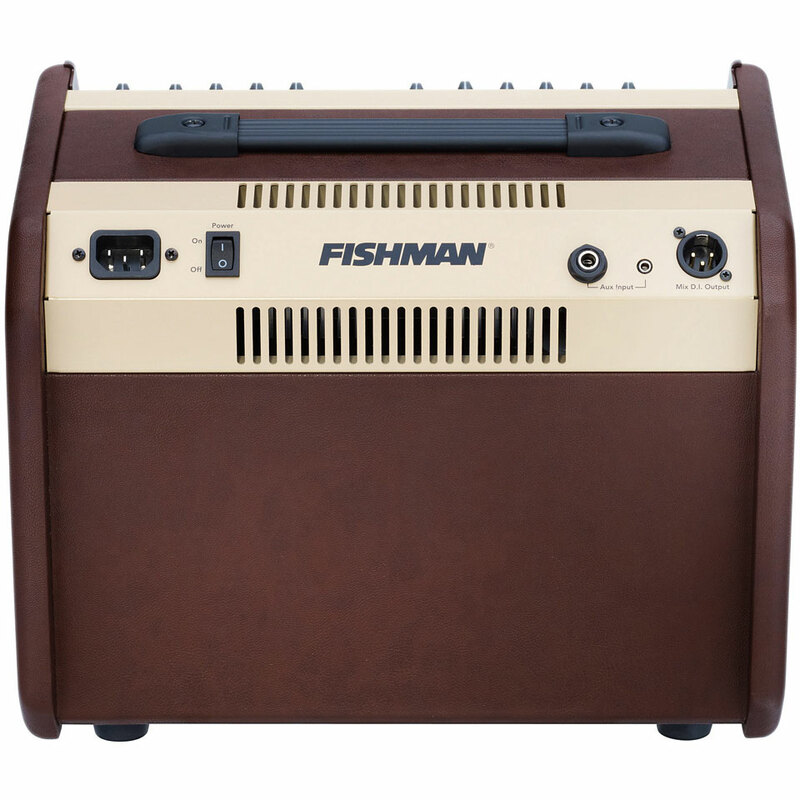 · Show all articles of the brand Fishman.